There is so much to do and see if you are living in (or visiting) South-East Queensland. 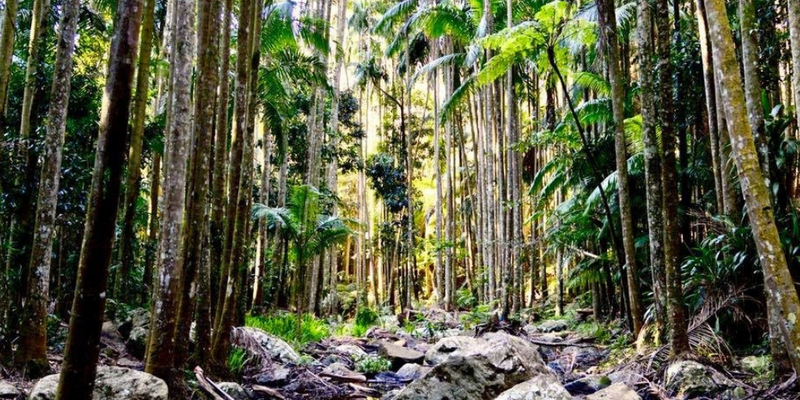 One of the places that we love to visit is Mount Tamborine in the Gold Coast Hinterland. 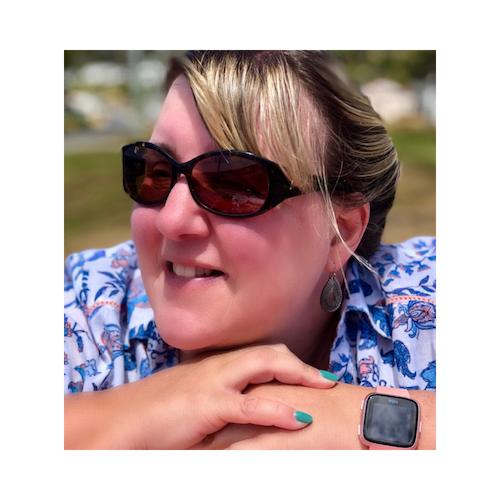 It is a beautiful area with a variety of activities available to keep you busy including hikes, wonderful wildlife, great restaurants, awesome shopping (even better if you like cuckoo clocks but more of that later) and wineries to visit! What to do in Tamborine Mountain? What are the different accommodation options? Where are some recommended places to eat? What is the weather like on Mount Tamborine throughout the year? 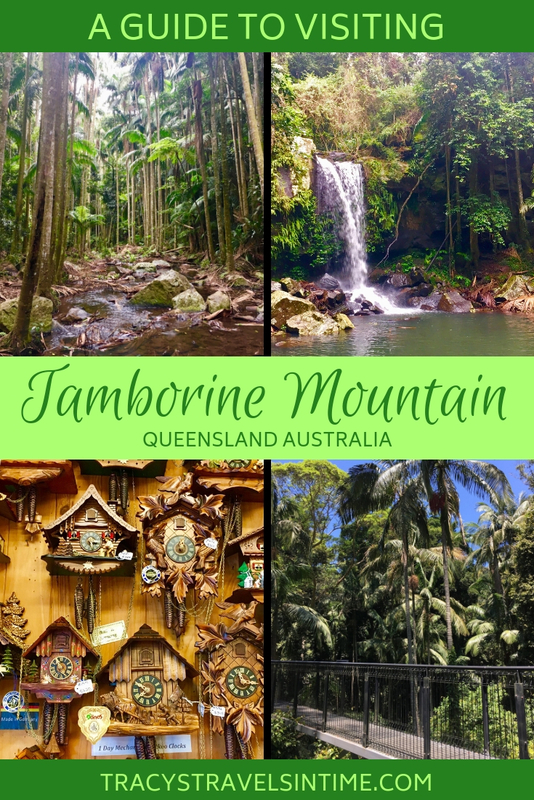 WHERE IS TAMBORINE MOUNTAIN & HOW TO GET THERE? 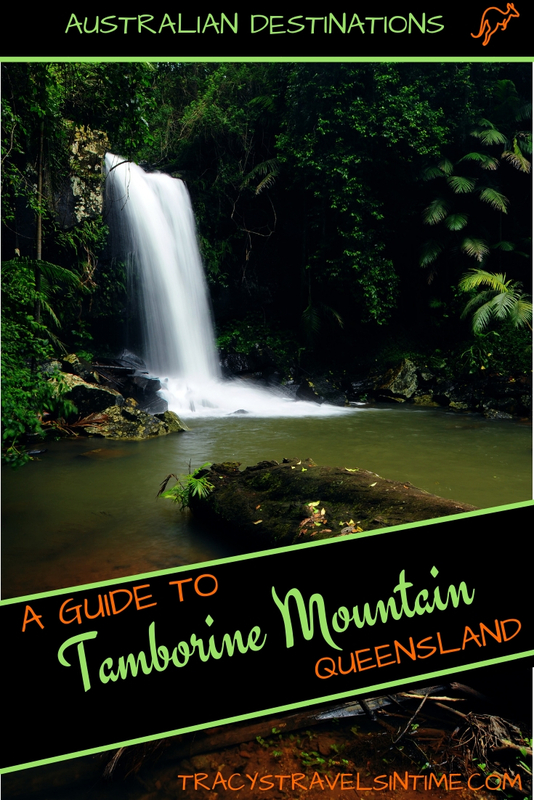 Tamborine Mountain can be found in the Gold Coast Hinterland and is around 80 kms south of Brisbane. If you are driving from Brisbane it takes about an hour to get to the area. 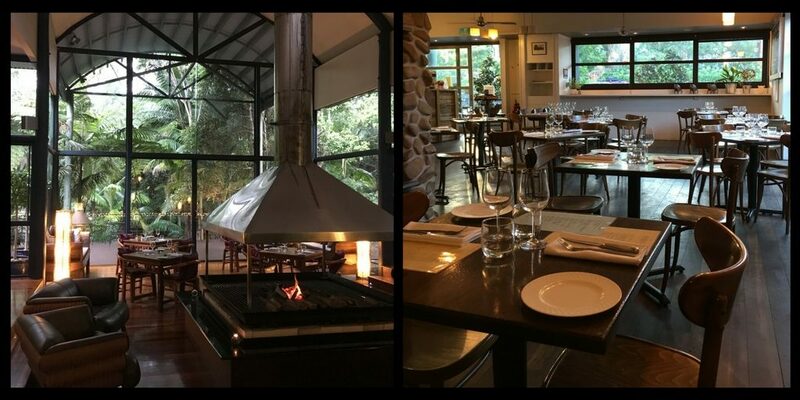 There is so much to do on Mt Tamborine that I really would recommend that you stay for a few days. The following are ideas of things you can add into your itinerary when you visit. 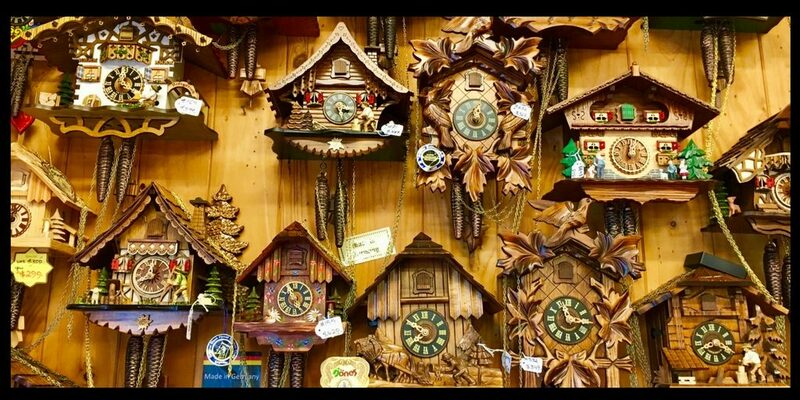 Cuckoo clocks may be something you associate with Switzerland but I can guarantee that after a visit to Gallery Walk they will also be something you associate with Australia. The shopping street of Mt Tamborine offers many boutiques and small quaint shops for you to browse and purchase some great gifts for yourself or friends. And of course there is Mt Tamborine clock shop! cuckoo clock! 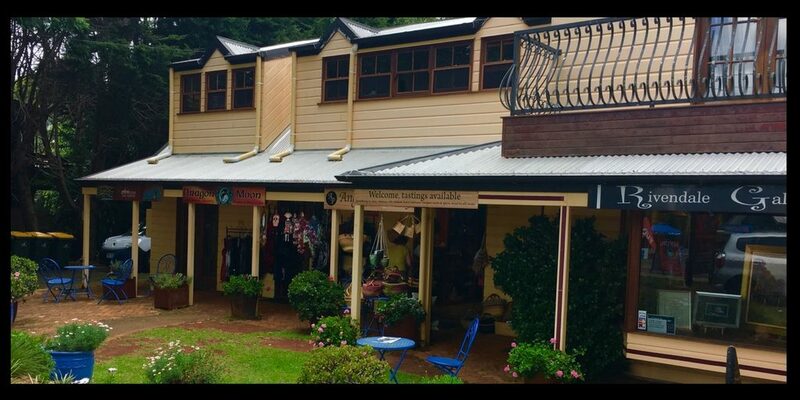 As well as the wonderful Mount Tamborine clock shop there are lots of other great shops, cafes and restaurants to choose from on your stroll along the street. I love the skywalk and I highly recommend a visit (and I am not great with heights but the views are great!) as you get the opportunity to explore the rainforest from above. The walk is 1.5 kms which you can take at your own pace. There are rainforest trails as well as 300 metres of steel bridges and a 40 metre cantilever bridge which gives great views over the rainforest. At the start of the walk make sure to check out all the information and photographs in the Rainforest Eco Gallery. There is a cafe and a shop at the skywalk as well as toilet facilities. Parking is free in the carpark too. The skywalk opens at 9.30 each day and is open every day but Christmas Day. The last walk is at 4 pm and the skywalk shuts at 5 pm. TIP – wear flat shoes! Children (16 Years & under) must be accompanied by an adult. Glow worms – who can resist the opportunity to see these little guys in action? 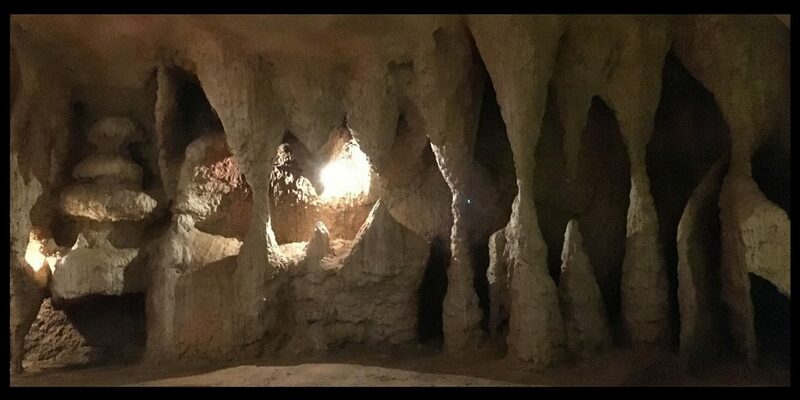 We certainly couldn’t so had to stop off at the glow worm caves to see them! The purpose-built caves provide thousands of glow worms with the perfect living conditions and you will learn all about their life cycle. The tours depart every 30 minutes and there are about 20 maximum to a group. To find out more about visiting the caves (prices and opening hours) check out the official website Glow Worm Cave Tamborine Mountain. Travel in style on a tour of the 13 cellar door outlets and try some of the local wines! There are a list of available tours on the Discover Mt Tamborine website too! 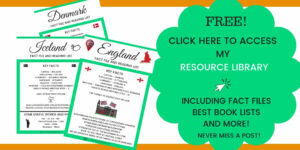 Get Your Guide also have some excellent tours available. If you are within 10 kms of Surfers Paradise pick up is also included. 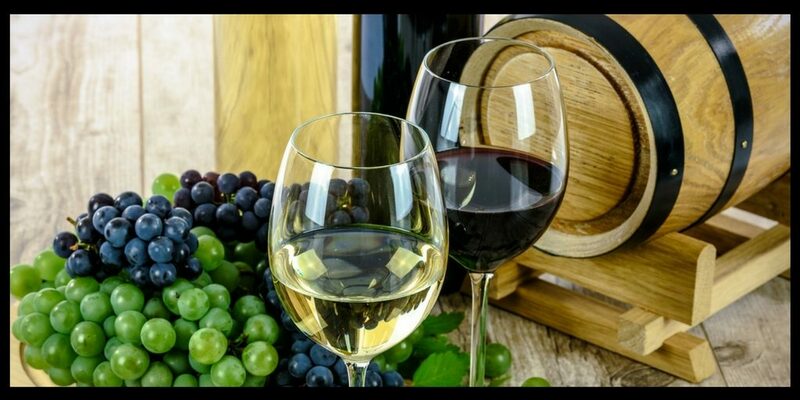 My choice of tour includes guided tastings at 4 of Tamborine’s best wineries plus Tamborine Mountain Distillery. This tour also includes a delicious two-course lunch, snacks and bottled water, plus the option to stop at the Cheese Factory. 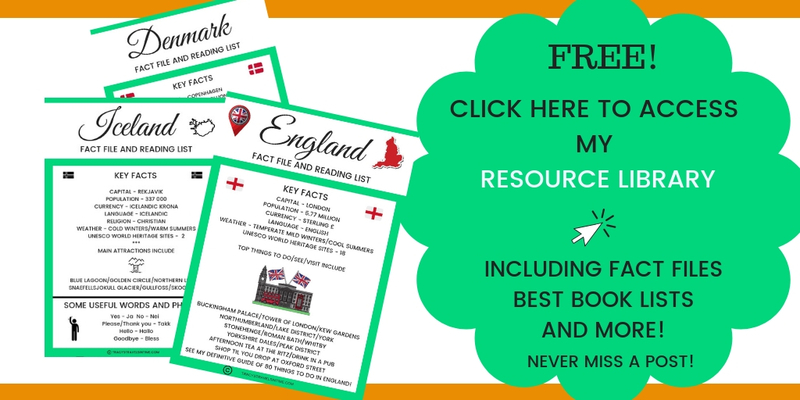 CLICK TO BOOK THIS TOUR WITH GET YOUR GUIDE! This 1.5 km return walk incorporates about 100 steps and has some steeper sections. The Knoll Section – Picnic area! 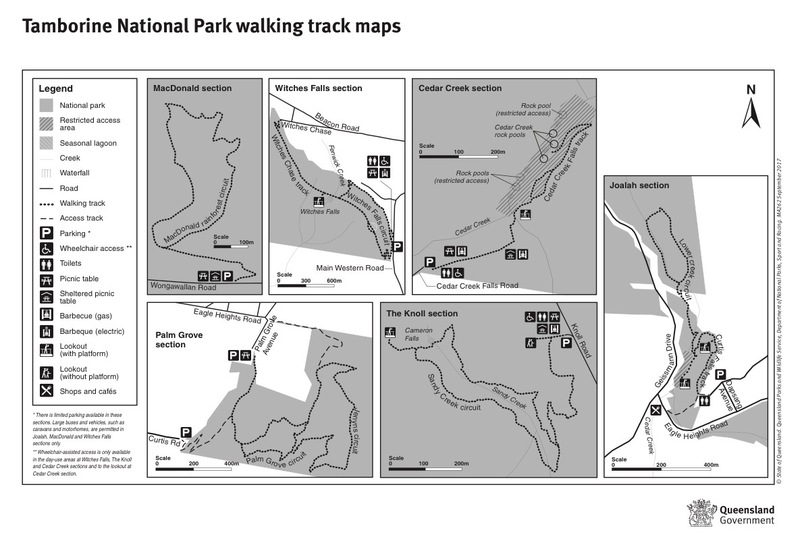 Read more about all the hiking trails at Tamborine Mountain including tips to get the best out of your walk! There are many luxury options on the mountain so you really are spoilt for choice. 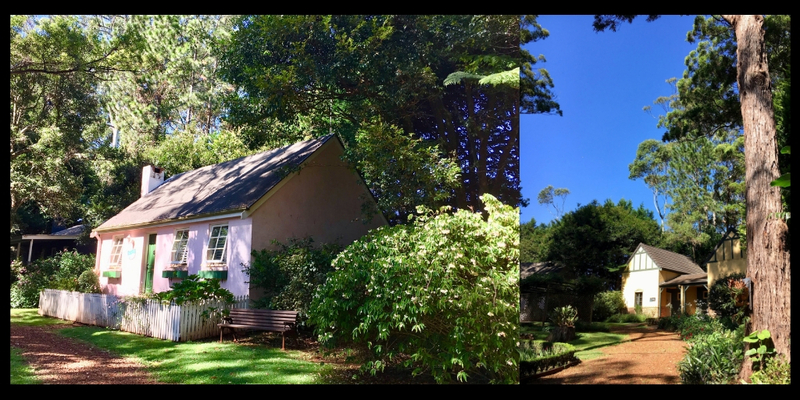 We adore Witches Falls Cottages and I promise you that they will bewitch you with their attention to detail and beautiful cottages. Found opposite Witches Falls after whom they are named they are the perfect retreat for couples seeking to relax in the privacy of their own cottage and garden. 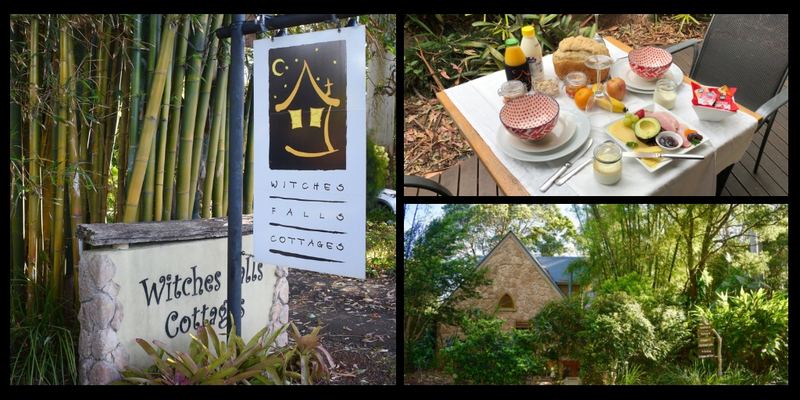 For more about Witches Falls Cottages click to read my review. We have stayed at Pethers a number of times and have absolutely loved it every time. Enjoy a drink at the bar and dinner in the restaurant with the sounds and sights of the rainforest at night all around you. Even better though is the morning after when you are delivered of the breakfast basket which contains all you need for a morning feast. In the summer we sat on our large verandah enjoying our food and watching the wildlife of the rainforest around us including a pademelon foraging for her own breakfast! Pethers is a wonderful place to relax and unwind from the stresses of life. We have also visited in the winter when the mountain is cooler and it was lovely and cozy snuggling up with the fire on and enjoying some down time from our hectic lives. Pethers is one of our top choices for accommodation when we stay at Tamborine Mountain. 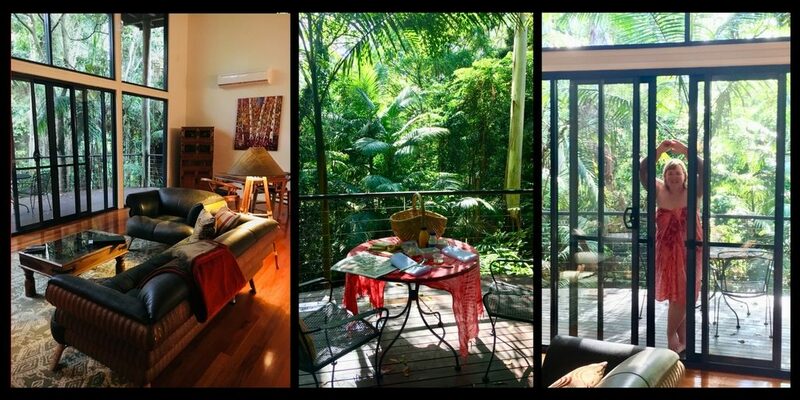 CLICK HERE TO BOOK YOUR LUXURY STAY AT PETHERS RAINFOREST RETREAT. THE PERFECT OPTION FOR DISCERNING COUPLES SEEKING A RELAXING BREAK. We spent one evening at Lisson Grove. This is a great mid-range option for couples. Different prices are available depending on your choice of Luxury or Premium Cottage options. The cottages are nicely decorated though the one we stayed in was perhaps a little worn round the edges. It does however provide a private getaway for those seeking a more affordable option. If you only plan to spend one night on the mountain Lisson Grove is a great choice. Just make sure you book in advance as they do get very busy. 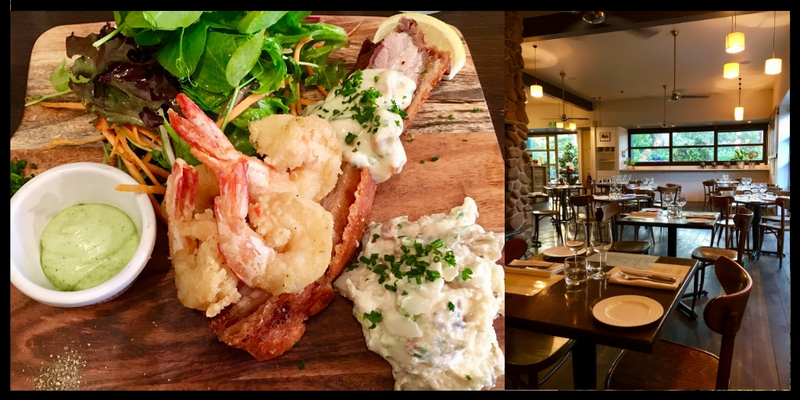 The three little pigs Tamborine Mountain is a popular restaurant. We love this restaurant with all its little pig ornaments in keeping with its great name! For more information check out their Facebook page. A great atmosphere makes this bar and restaurant a firm favourite with locals and visitors alike! The food is also highly recommended! Pop in for a drink but if you want food I would recommend reserving a table in high season as we have missed out when they have been fully booked! Bit of a theme going on here with names! This tiny restaurant offers some beautiful meat dishes as well as great cocktails! Make sure to reserve as it is a small venue! Delicious dinner at 3 little pigs! WHEN IS THE BEST TIME OF YEAR TO VISIT Mt TAMBORINE? Mt Tamborine is located in South East Queensland which means it has a semi-tropical climate. In summer it is hot, wet and humid and the winters generally warm and dry. The busiest time on the mountain is in the cooler winter months so book well ahead if you are planning a trip. I prefer hiking in cooler weather but whenever you go make sure you take a hat, suncream and plenty of water with you. WHAT TOURS ARE AVAILABLE AT MOUNT TAMBORINE? If you are planning to visit for the day and do not have a car then a tour may be your best option. Pick up your litter and take it home! Stick to the paths – it was worrying how many people we saw straying from the designated areas. One guy completely ignored the signs and clambered over a fence to walk behind a waterfall. If you are heading to Tamborine Mountain in winter make sure to book well ahead as this is peak season and it can get busy. If you are hiking wear sensible walking shoes, take water, sun protection and bug spray. There is a visitor’s information centre located at Main Western Road, Doughty Park in North Tamborine. There is an IGA in North Tamborine. Wow I wish you had known about it Angie – and its so close! You would love it! The Mount Tamborine looks amazing, would love to do all hikes. I really like those circuit tracks, we don’t have that many in Europe. I think you would love it Urska! The waterfall is lovely! And I love the shop with all the cuckoo clocks. Tamborine Mountain looks like a relaxing place to explore. It is a beautiful part of the world! Wow! So much to do there… and I haven’t been yet. Pinning for next time I am in the area. Thank you. I’d love the glow-worm cave and the skywalk. 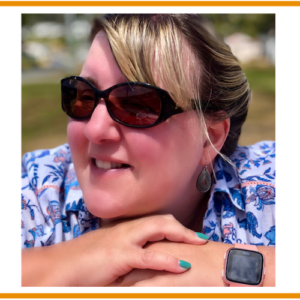 Great post; thanks for sharing.